Silicon Valley startup accelerator Y Combinator has thrust carbon removal startups into the spotlight, amid growing concerns over climate change. 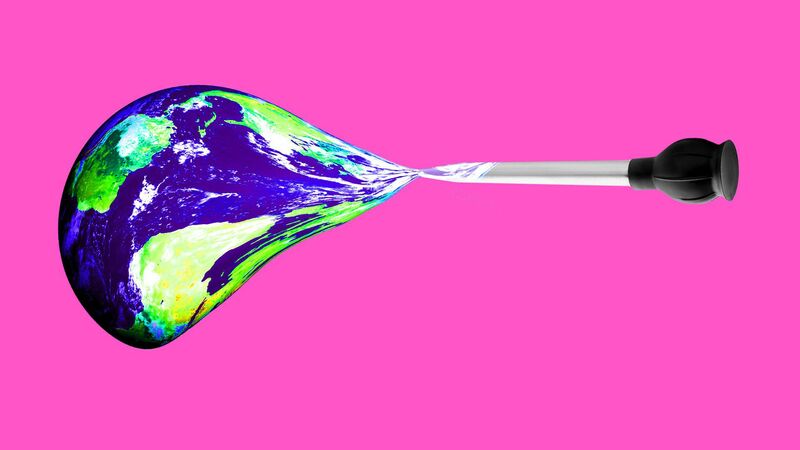 Why it matters: Venture capital's natural appetite for funding moonshots could make it a positive force — if it overcome disappointments from last decade's failed cleantech investments. How it started: In October, YC asked for program applications from startups and non-profits working to remove carbon dioxide from the atmosphere. The "request for startups" came two weeks after a major UN report concluded that carbon removal will be needed to prevent warming from reaching a tipping point. Still, the two relevant startups that participated in YC's most recent accelerator program, which concluded earlier this week, are using better known approaches — providing project verification for carbon offsetting projects and turning carbon dioxide into a fuel — than the techniques highlighted in October. What investors are saying: "For too long, the world has ignored the scientists, inventors, organizers, and entrepreneurs who are pursuing solutions that could dramatically reduce emissions, remove carbon from the atmosphere, actively cool the planet, and save human, animal, and plant life as we know it," venture capitalist Chris Sacca told Axios via email. Sacca has invested in YC program participant Pachama, which uses drones and other tech to verify carbon offsetting projects like forest restoration. Pachama co-founder and CEO Diego Sáez Gil wouldn't share details about the startup's current fundraising but hinted that investors have been receptive. Prometheus co-founder and CEO Rob McGinnis, whose startup turns carbon dioxide into fuel and also participated in YC's program, says that investors he meets fall into two camps: those who are excited and can't wait to invest, and those who say it all sounds too good to be true (Prometheus says it will be able to produce a gallon of fuel for only $3 by next year). And there seems to be broader market appetite: Earlier this week, Canadian company Carbon Engineering, which hopes to commercialize machines that directly capture carbon dioxide from the atmosphere, announced a record $68 million in funding. Yes, but: There’s still some caution among some investors who don’t want to repeat the missteps of the cleantech investing boom a decade ago, which ended in a series of disappointing results. “The challenge often is that, from a venture perspective, you dump $10 million to $40 million into a startup just to figure out if that works,” says Congruent Ventures managing partner Abe Yokell, a veteran cleantech investor. He also points out that carbon offsetting is still a voluntary activity in the U.S., which raises questions about how successive a marketplace like Pachama can be without regulatory changes. Other investors told Axios that uncertainty about market economics in the future can make them hesitant, especially if a company’s technology is also unproven—it’s a double risk, they say. The bottom line: "Timing is very important for a startup company," says Prometheus' McGinnis. "If I had tried to do this five years ago, I would have had the timing wrong."